Let's continue a topic about Korean national yummies . 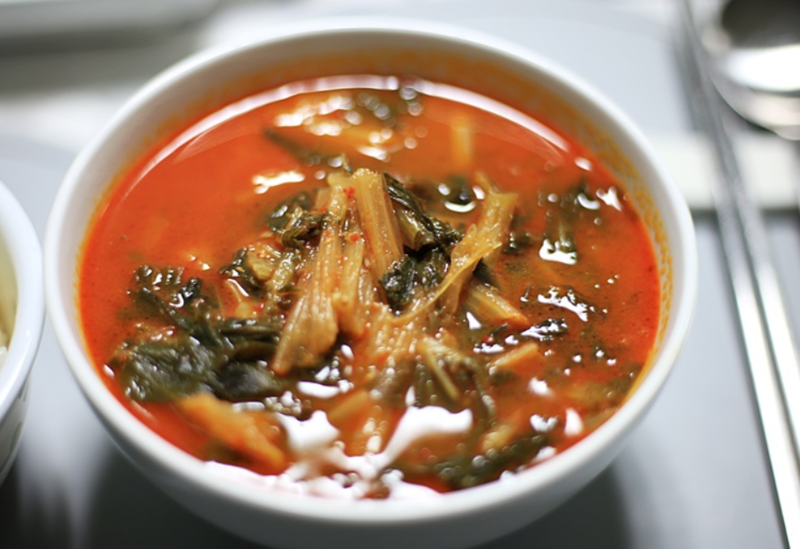 An ordinary breakfast for Koreans is kimchike soup (kimchi soup) or twendzhanchige (soy sauce soup), and the Koreans eat soups with rice. A meal without salads such as kimchi is not a meal at all. So, breakfast from Koreans is quite dense. Last time for lunch we had bulkogi (stewed meat with vegetables) . But I thought, what if someone does not eat meat. Or eat only chicken or fish. Therefore, add a couple of dishes so that you have a choice. 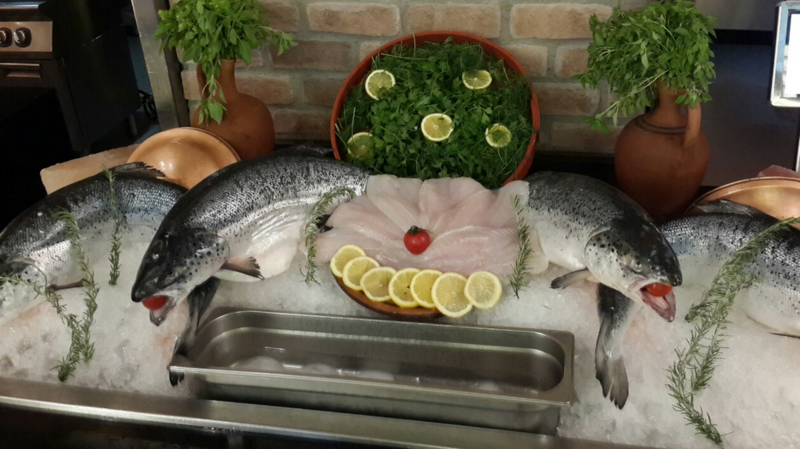 Do you know that fish is very healthy? Especially for feeding the brain? 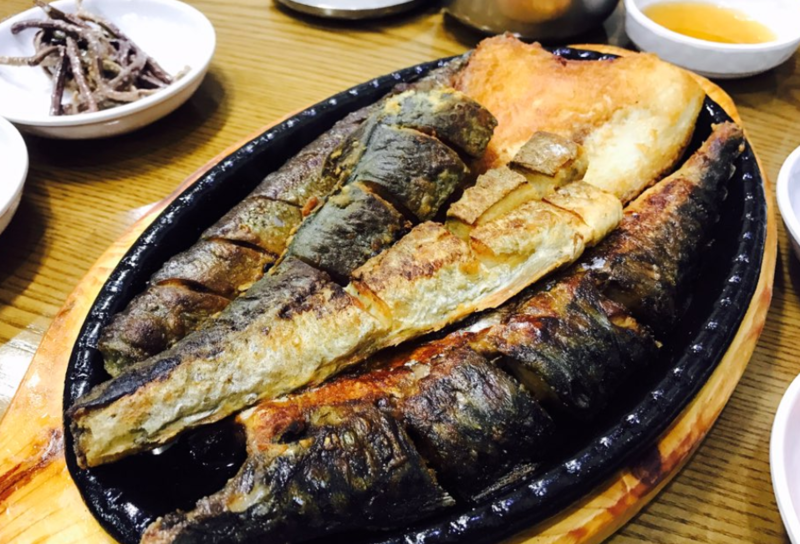 I love baked fish, especially if it is quite fresh, that is, it just swam peacefully in the river. Forgive me the underwater world. 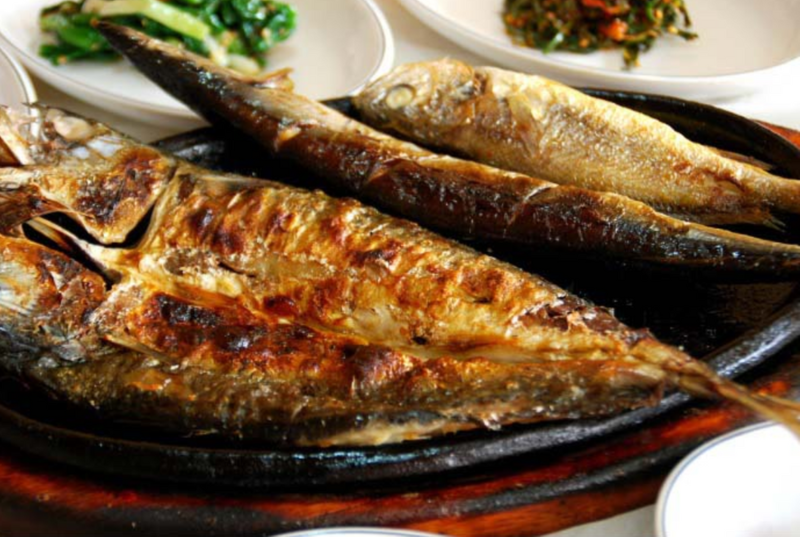 In many cafes a small portion of twendzhanchige soup (soy sauce soup) is served with baked fish. And I got so used to such a set that I don’t like to eat fish without this soup. In almost every city there is a fish market, where you can choose any fish from the aquarium and they will prepare it for you here, and you can enjoy a meal in the open air with all fish smells . 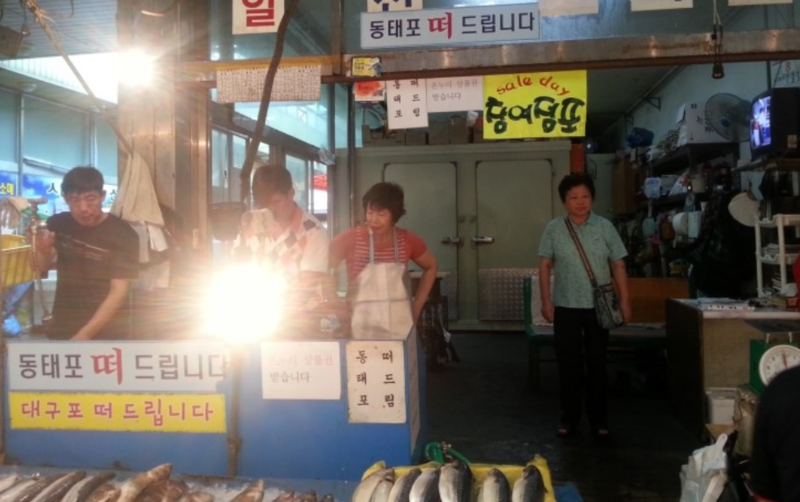 The best markets are in Busan and other coastal cities. Taccalbi is fried marinated chicken meat with vegetables. Hot Tangobi sauce is added to Taccalbi, so the dish is spicy. Taccalbi, like bulgogi, is usually ordered at least 2 servings (i.e. at least two) and is cooked right on your table in a skillet. Takkalbi can be eaten simply with rice, or you can wrap it in lettuce leaves. It turns out tasty and healthy. In Korea, there are generally many dishes that are eaten wrapped in lettuce leaves. But more about that later. 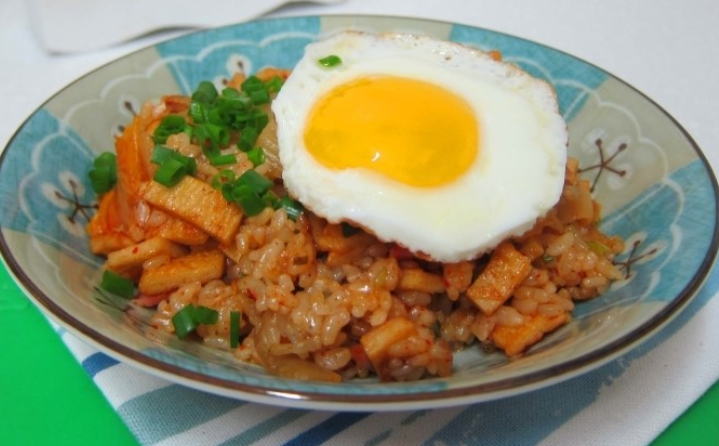 Another specialty of Korean cuisine is Pokympab or fried rice. So, when you are almost full, but there are still a few taccalbies left in the pan, you can ask the waiters to make a pokkympab. In the remaining tacalby, rice is added, seasoned with various additives such as small dried leaves of seaweed and sesame seeds, you can also ask to add cheese. All this is fried a couple of minutes, and then you can eat. This is my favorite part of the meal. Gentlemen, vegetarians, you won't be hungry in Korea. In addition to bibimbaba (rice with salads) in Korean cuisine there are also other snacks. Although it is said loudly. This dish is more to the amateur. But I note immediately that it is very useful for health and skin. This dish is called sigregiguk (시래기). 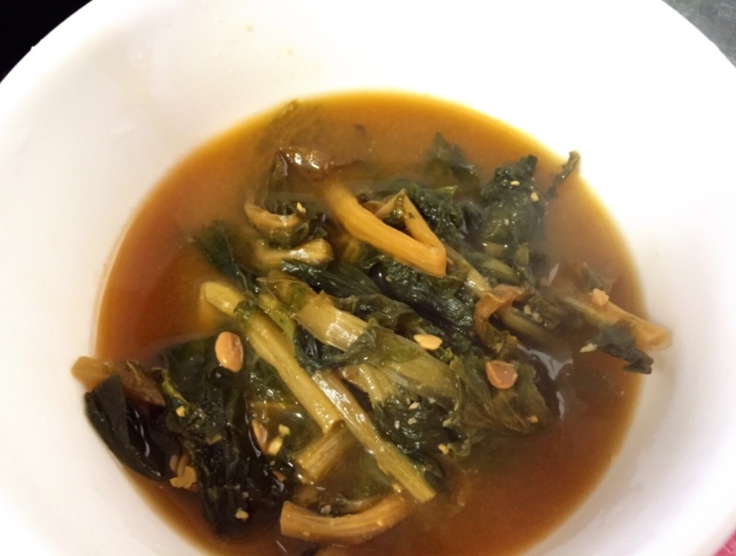 Its main ingredient is radish leaves. Seregiguk is acute and not acute. It all depends on the cafe or on the chef. 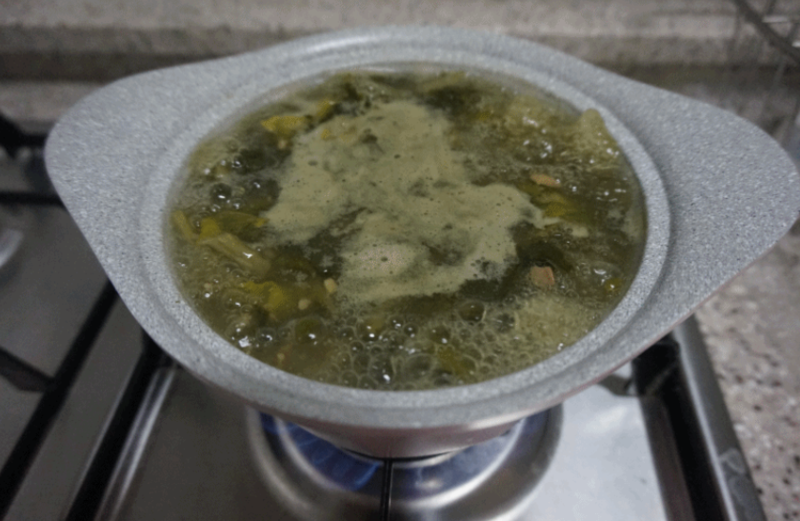 This soup is cooked in rice liquid (if you can call it that way). Add some onion and seasoning to the soup. In truth, the sereg-guk can be meaty. Meat sregiguk cooked in meat broth. And some still add soy sauce. In short, there are many ways to make this soup! By the way, from the same radish leaves can be prepared and salad. More precisely, in the rich assortment of Korean salads there is such a useful salad. And cook it is not difficult. 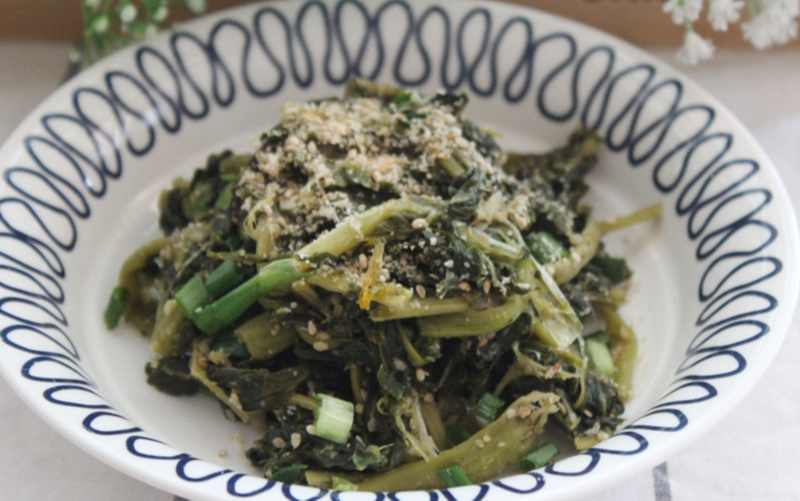 The composition includes radish leaves, green onions, garlic and sesame seeds. Finally, I will tell you about another Korean dish. More precisely about several. In general, it all depends on the ingredients. As you may have guessed, although I may have already mentioned - Koreans eat rice a lot. 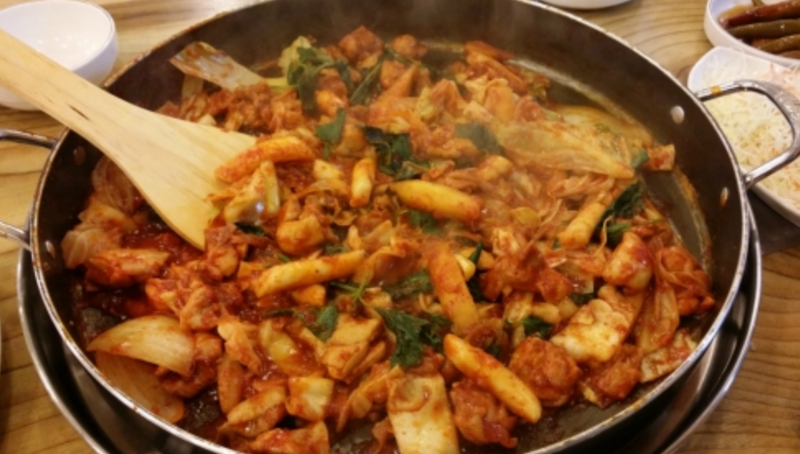 Therefore, in Korean cuisine there are a lot of rice dishes. The most basic are the so-called pokkympabs (볶음밥) or fried rice. This is the most common rice, fried with different ingredients. This may be rice with kimchi, i.e. Kimchipok Kimpab , or rice with vegetables, i.e. 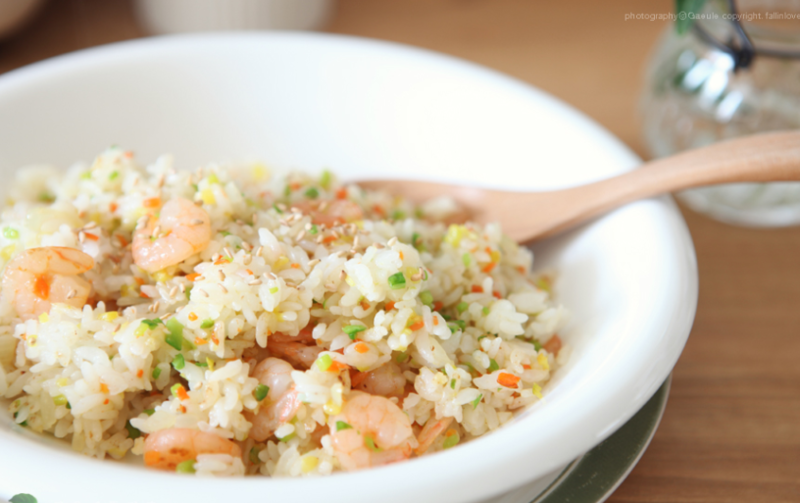 yakhepokkimpab </ strong>, it can also be rice with shrimps, i.e. seupkokmpap and so on. This list goes on and on. In many cafes to this dish serves scrambled eggs, which are mixed with poympabom. Enjoy your meal and be ready for a dessert!